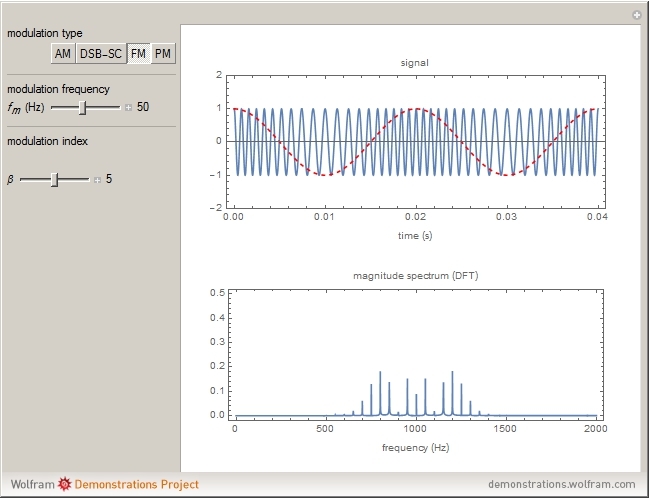 This Demonstration shows a tone-modulated sine wave in the time domain and in the frequency domain. 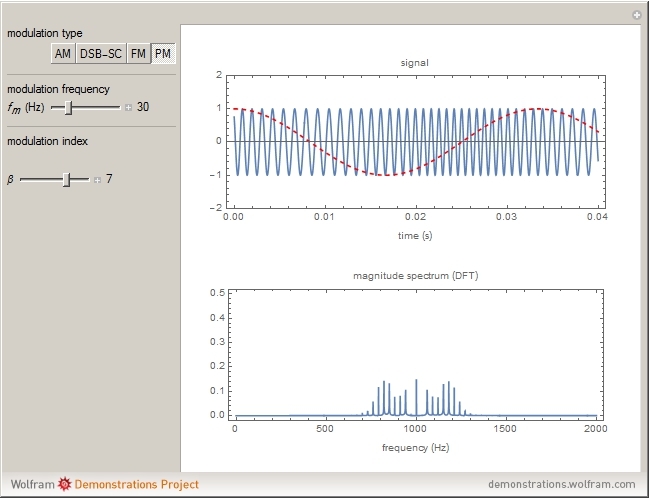 Available analog modulation types are amplitude modulation (AM), double-sideband suppressed-carrier modulation (DSB-SC), and frequency and phase modulation (FM and PM). The frequency of the modulating tone is . The AM spectrum is composed of a spectral line at the carrier frequency and two lines at above and below the carrier. The DSB-SC spectrum has no carrier. FM and PM have identical spectra, composed of spectral lines apart. The modulation index μ or β describes how much the carrier signal varies around its unmodulated level. The bandwidth of FM and PM is much higher compared to AM. 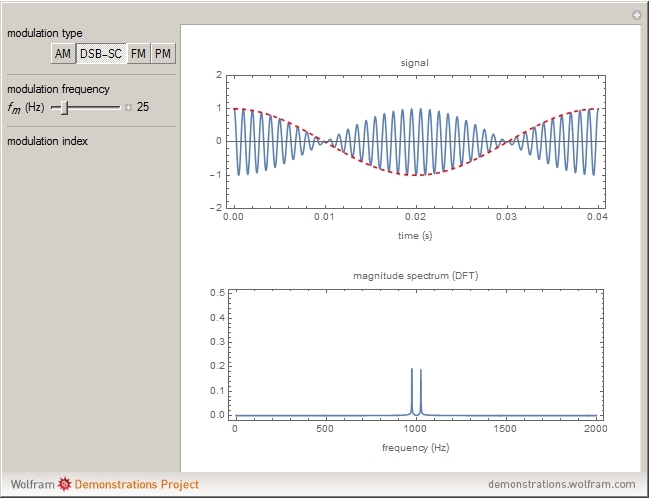 The spectrum is calculated from 4096 samples of by means of the discrete Fourier transform (DFT).